It’s a change that is the new normal for banks as they grapple with a host of new regulations and capital requirements in the wake of the financial crisis, according to analysts. 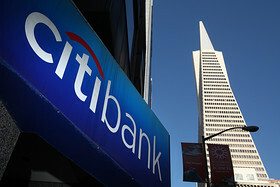 In Citi’s case, “compliance staffing is up by a third, at a time when the bank has been shrinking assets and shrinking people,” said David Hilder, analyst at Drexel Hamilton. “I don’t sense any desire on the part of regulators to reduce the amount of work that banks have to do on compliance and regulation,” he said. The disclosure marked the first time that Citi/quotes/zigman/5065548/delayed /quotes/nls/c C +0.15% has put a firm number on how much it is ramping up staffing levels to address the increased pressure on the industry. The figure is equal to about 13% of the bank’s total headcount of 244,000 at the end of the second quarter. Other banks are also adding staff. 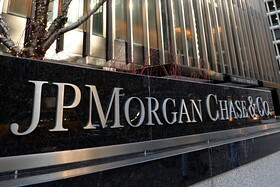 J.P. Morgan Chase & Co./quotes/zigman/272085/delayed /quotes/nls/jpm JPM said last year it would increase its risk control staff by 30% and spend an additional $4 billion on cleaning up risk and compliance. That’s after some hefty fines for various regulatory and legal issues, including the $13 billion penalty imposed by the U.S. authorities over shoddy mortgage securities last year. Bank of America Corp./quotes/zigman/190927/delayed /quotes/nls/bac BAC +0.12% CFO Bruce Thompson said the number of audit staff at his bank has roughly doubled in the last three years. Bank of America’s overall headcount was down 9% in the first quarter,mostly due to cuts in the mortgage department.